September, 2017) carrying on the same vision and mission but alert to “reading the signs of the times”. Thus, the mission has found its expression in different ways in the past 30 years.The vision of the JCTR is to have a society where faith promotes justice for all in all spheres of life, especially for the poor. Its mission is to foster, from a faith-inspired perspectives, a critical understanding of current issues. 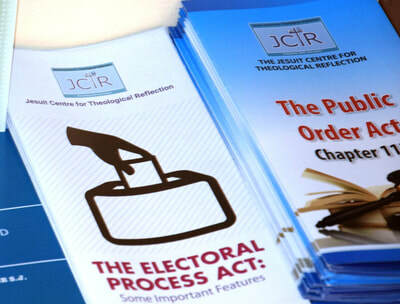 Guided by the Church’s Social Teaching (CST) that emphasises human dignity in community, the JCTR mission is to generate activities for the promotion of the fullness of life through research, education, advocacy and consultancy. Cooperating widely with other groups, our Jesuit sponsorship directs us to a special concern for the poor and assures an international linkage to our efforts. We aim to promote an inculturated faith, gender equality and empowerment of local communities in the work of justice and peace and the integrity of creation. In regard to carrying out this mission, JCTR has evolved in various ways over the past three (3) decades. 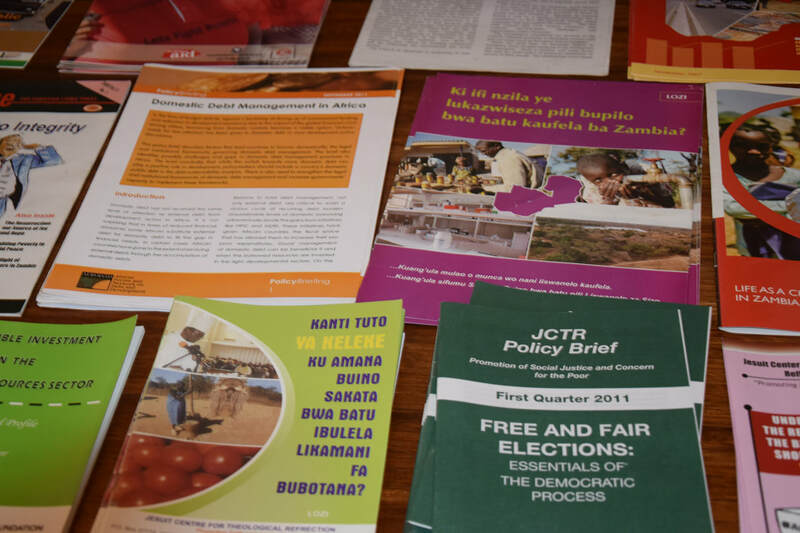 The Centre that began with very minimal but significant initiatives such as the JCTR Bulletin, used as an avenue to promote social justice values, saw towards the year 2000 and beyond, more initiatives aimed at addressing pertinent issues in Zambia and globally. 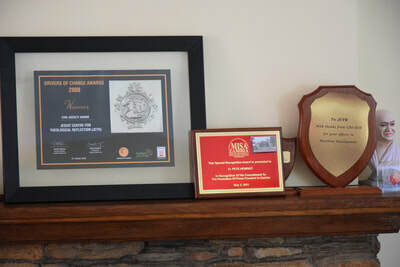 A significant example of such initiatives was the launch of the Jubille-2000 campaign for debt cancelation in 1998 at the Cathedral of the Holy Cross in Lusaka. The launch was necessitated by the then Zambia’s rate and volume of external debt stock coupled with ineffective non-transparent and unaccountable loan contraction processes. Jubilee-2000, which later came to be known as Jubilee-Zambia campaign, became part of the international movement to call for the cancellation of poor countries’ debt. By the end of 2004, Zambia owed the international community in excess of US$7 billion and was spending over US$100 million per annum in external debt service at the expense of economic and human development programmes. Efforts by JCTR, its Outreach Teams in five districts of Ndola, Livingstone, Mongu, Monze and Kasama and the wider civil society in this campaign resulted in over 90% of Zambia’s debt cancelled by multilateral agencies after Zambia reached the Highly Indebted Poor Country (HIPC) completion point and qualified for the Multilateral Debt Relief (MDR) initiative in 2005. 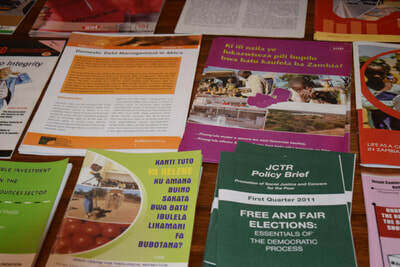 The JCTR currently operates under two core Programme: the Faith and Justice and Social and Economic Development Programmes with Outreach offices in Kasama, Kitwe, Livingstone and Mongu.